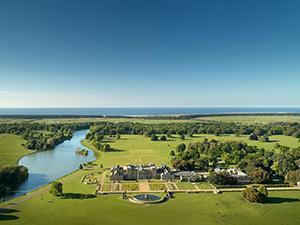 Enjoy Chamber Music in the perfect setting of the Marble Hall at Holkham. Tara Erraught was born in Dundalk and studied in Dublin at the Royal Irish Academy of Music with Veronica Dunne. She was a resident principal soloist between 2010 and 2018 at the Bayerische Staatsoper, Munich. Her roles there brought her to international attention with notable debuts at the Glyndebourne Festival in 2014 and at the Metropolitan Opera, New York in 2017. Her schedule for 2019 will take her to the Staatsoper Unter den Linden, Berlin where she will sing Donna Elvira with the Wiener Staatsoper on tour in Düsseldorf. She will appear in concerts in Savannah, Milwaukee and Indianapolis, at the Teatro Colón, Buenos Aires and at the Schubertiade in Schwarzenberg. She also gives a recital at the National Concert Hall, Dublin.